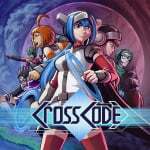 Today's Nintendo Indie Highlight presentation brought with it a nice little collection of promising titles, and joining that list is none other than CrossCode. CrossCode eventually arrived on PC last year after an Indiegogo crowdfunding project and a lengthy early access beta, and now it's making the jump to Switch. It combines 16-bit SNES-style graphics with "butter-smooth physics, a fast-paced combat system, and engaging puzzle mechanics, served with a gripping sci-fi story". Sounds good to us. The game will launch on Nintendo Switch this year with "some exclusive content". More details on this will no doubt be shared in the coming months. You can catch up on all the highlights from today's presentation (and rewatch it) here. Do you like the look of this one? Have you already tried it out on PC? Let us know in the comments. Have it since early access on Steam. Might double dip if the price is right. It looks a little busy, but I am curious. I'll have to see more gameplay and impressions though. Nice, I was hoping for this one. @Ryu_Niiyama My thoughts exactly. It's one I'll be keeping an eye on. I quite like the look of this one. I wasn't sure what was going on at first but the 2nd part of the trailer showed it's not all crazy fast paced action. Inmost was the game that stood out most to me. That looks very interesting. Hurrah! I already commented today that this was the only indie that I really wanted. So glad it turned out that it’s actually coming. I have this on steam and let me just put it this way to all of you. YOU REALLY. REALLY. WANT THIS GAME. This game is just amazing. I can't say much more than that. It really just is worth the price tag. This one didn't jump out at me as something I need to play. I think mainly due to the art style not really appealing to me. But it seems pretty well received so I'll throw it on the maybe pile. This looks like it will finally scratch that multiplayer couch co-op itch that I've had since Secret of Mana on SNES. A specific itch that the entire Mana series has failed to scratch time and time again. This game looks cool! And insanely fast too, haha. Yes! I have nearly bitten on Steam loads of times but was always hoping it would come to Switch. I really love this game! The gameplay is fun, the puzzles are complex and require a combination of quick reflexes and thinking and the story is interesting and can get quite emotional. @Agramonte That's because the game is built entirely with HTML5. This one has been on my radar for a while. Always waiting for the right price. Seems right on a Nintendo console and Access on the Switch would be nice. But I wonder, so many options these days. I've had this on my steam wishlist for a while now and forgot about it. Definitely picking up a switch physical version. I like very very much that baby!! The combat seems kinda fast paced. Maybe too much even? But I like the graphical style for sure! @OorWullie I’m thinking Inmost looked the most interesting to me too. Overall a decent showing of promising upcoming Indie games. It's like Seiken Densetsu but on steroids. So much mayhem I love it. Now Square Enix about that Secret of Mana Collection, my money is still waiting any day now. Interesting. On the watch list even if not a certain purchase. My Switch backlog is too big, I have to start getting choosy now. Awww man! Just got this on PC about a month ago, cause they said it wasn't coming to Switch! Excellent game though, great combat and puzzles. Worth a double dip. @Desrever Sorry buddy, unless I've missed something, Crosscode has no co-op. The game (and story) make it feel like an MMO to a T, but it's actually just one player. Even in the story, only one person is in a dungeon at a time. The demo sold me. Great visuals and pace. I don't play games on keyboard usually so I'm looking forward to the Switch release now. First half of the trailer was too fast for me, second half too slow. Think I'll stick w/ Forager, which surprised me how involved it looked. The video isn't very good. The fast part looks too fast. I can't tell what's going on at all. The rest looked fine I guess except it still doesn't really tell me anything about this game but the description seems like something I would like. I haven't played any of the 2d Zeldas but I liked most of the 3d ones so this is going to be a very soft maybe from me. Crosscode Devs pointed out that it was hard to port it to switch, and that there would be a Switch version when hedgehogs learn to fly. Really looking forward to this one! YES! This has been turbo-fun on PC! This game is a blast! Near day one for me! @MrJuancho I'm looking forward to the flying hedgehogs! Wow. This has reviewed really well on PC. @MrJuancho haha that explains the flying hedgehogs at the end of the trailer. That kind of quirky self awareness makes me want to buy this now. @electrolite77 At first I thought it looked too fast but after checking the reviews the game has been recieved really well. Think I'll be getting this one. I'm quite interested in this. I wasn't quite sure about it being all fast pace and busy, but then the second half of the video shows it does slow down in places. Thanks for bringing it! Day 1 for me! Definitely looking forward to this. I enjoyed the PC demo but never got back to it buying it. I’m just going to wait for this version. I have too much to play right now. Interested by this. Watched some gameplay videos on YT, there is an awful lot of talking in this game, with a bit of action in between. Will wait for the NL review. 85% on metacritic and 40-80hrs of gameplay bodes well for this title. I’d pay good money if it runs well on switch, and it’s 2D, so why wouldn’t it? Always wanted to play it but it's always quite expensive on Steam for a game with mixed reviews. Looks great though. @YANDMAN Uh... the game is US$20, with around 91%-94% Positive review on Steam... How is that quite expensive and mixed review? PC players, was this best played with a mouse or a controller? @darkfenrir Its been a while since i have looked into its review status, but when it first launched it was definitely mixed. I can read and if it were all really positive at the time i would of made the purchase. I can only assume as time has gone on more people have tried it and the rating has increased. @YANDMAN Ah, made sense. It took around 7 years or so to finish iirc, so they really took their time to really polish the game up. Try out the free demo to see if you like it at least.